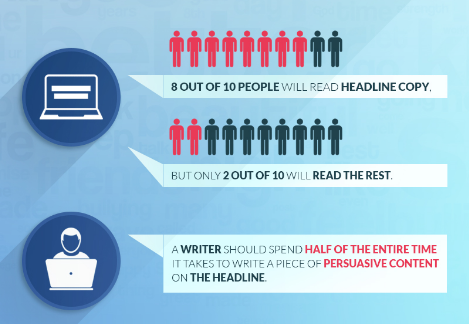 So when you are thinking about it, do you wonder why many content marketers, advertisers, and PR professionals spend at least as much time and effort on creating the headline as they spend on creating the content itself? 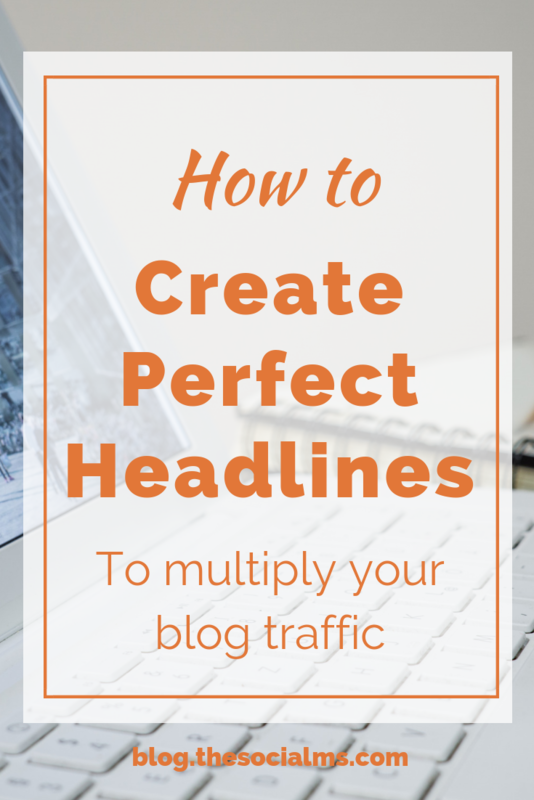 The 5 Minute Video Tip: Creating Headlines That Really Work! Hey, we’ve got a new format: Short videos that highlight one important aspect each about traffic building for websites. So, let’s be honest: How many of us give our headlines the attention they deserve? And just consider the opportunity that we are all missing out on! 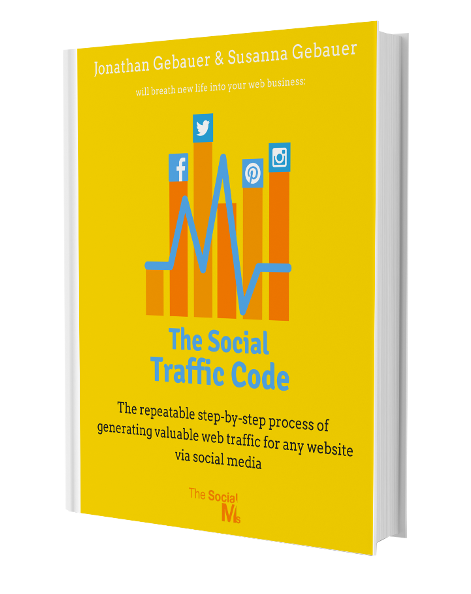 You may already have realized that some headlines are good to get some shares in social media, while others are good to make people click. The best headline can do both since only if you get a lot of clicks PLUS shares your content has any chance of really spreading. Monitor the analytics Buffer provides and Analyze the results. 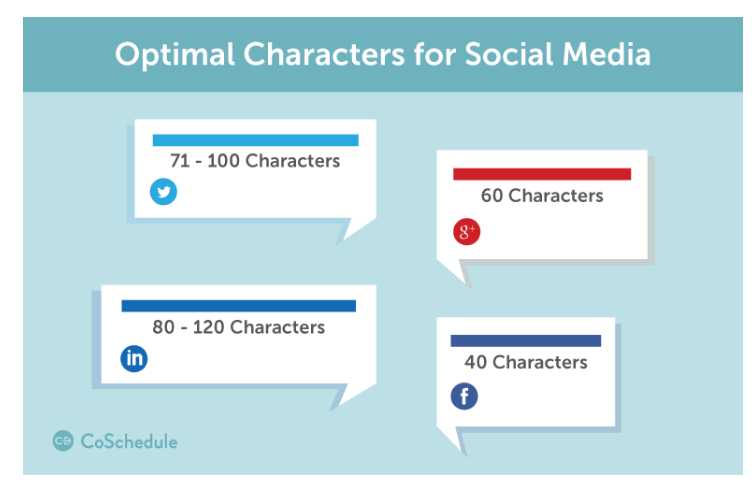 Often the results vary significantly in clicks and engagement. 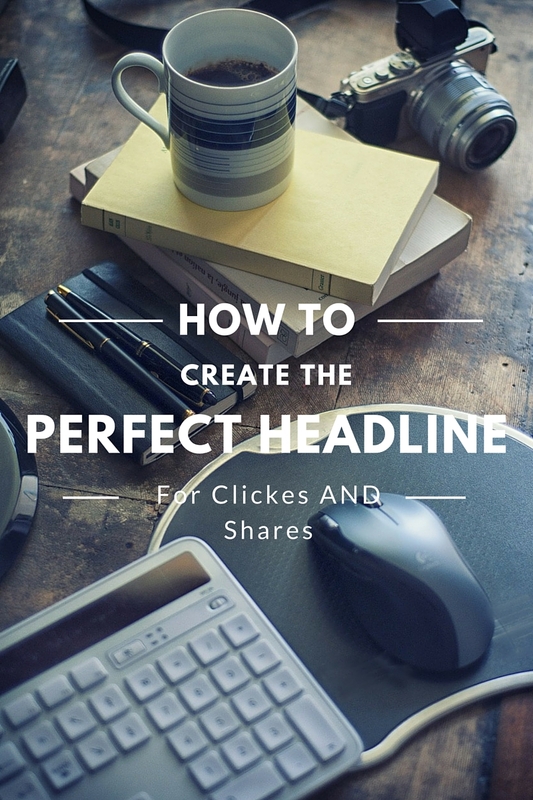 If you find a title that gets clicks AND shares you are on the right track. How To posts: We are all looking for answers to questions like „How do I do this? How can I achieve this? Promise the answer and people will click. Best or worst: We all want to avoid being among the worst of anything and be laughed at. But we like to know what we have to do to become one of the best. So we click. Numbers have great power to lure us in. Statistics always make a great topic for small talk and easy to grasp „facts“. Either the numbers are so out of line that we want to know how people come to be so far off what we believe, or we simply want to know more. But the power of numbers goes even further. In a world of vague promises and unproven „facts“, numbers promise your audience some fixum or facts. Numbers do not lie, they promise real answers and proven facts. The trust people have in numbers also shows in how much headlines with numbers get shared in comparison to other headlines. One word can turn a headline from something boring and insignificant into something you want to click. It’s not only in headlines, but it is also in sales copy, call to actions and other places where the copy decides if people react to it. For instance, „Ultimate“ lists or guides are all the rage. According to Copyblogger the two most important words in blogging are „You“ and „Because“. Which power words are best for you depends on what you want your audience to do. There are words for persuasion, words for influence, words to encourage community and words that imply exclusivity or scarcity. There are also words that make us feel safe. 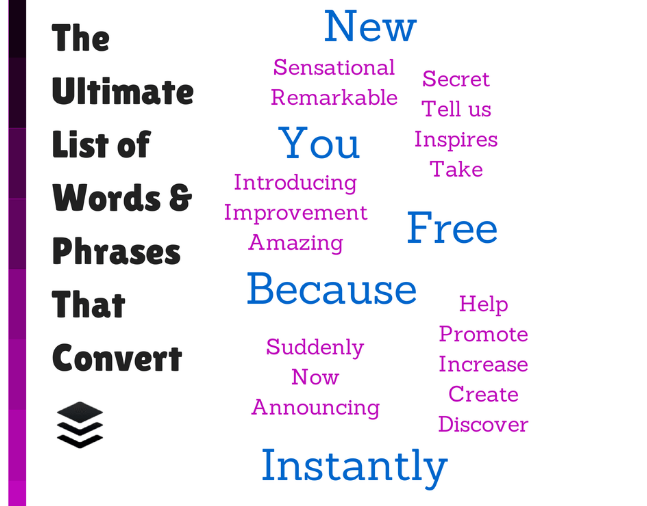 For more information on influential words, check out the „ultimate list of words and phrases“ by Buffer. If you get the reader of your headline to go „WTF?“ you have already halfway won: You got their attention. Chances are high that they will click to satisfy their curiosity. We get so much content on all the different channels, most of us do not actually READ headlines, we skim them. That results in some serious trouble with grabbing the meaning of long headlines. 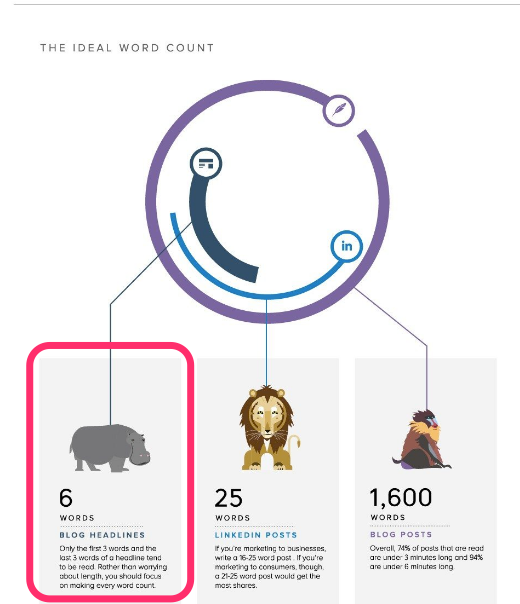 According to Buffer the ideal length of a headline for a blogpost is 6 words for the simple reason that we only notice the first three and the last three words. 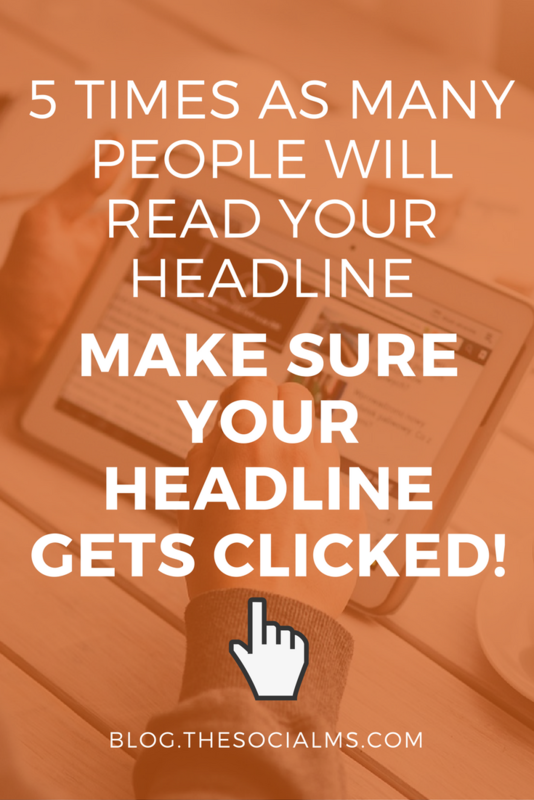 If you want your audience to read the complete headline: Go for 6 words! 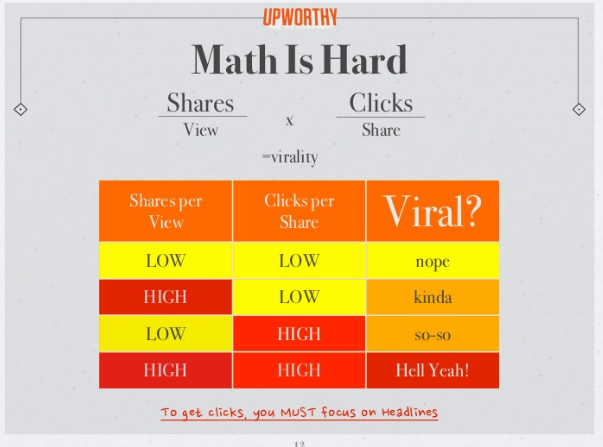 Upworthy is a company that lives of its great titles. Therefore they spend a considerable amount of time creating the best possible titles. 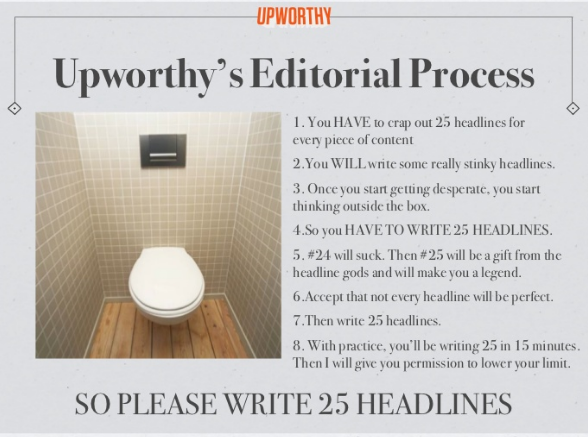 And that means they create 25 headlines for each and every piece of content. Why 25? Because with 5 or even 10 headlines you can still create most or all of them by following the same line of thinking. With the task of creating an insanely large number of titles, you will HAVE to get creative and include some different ideas. 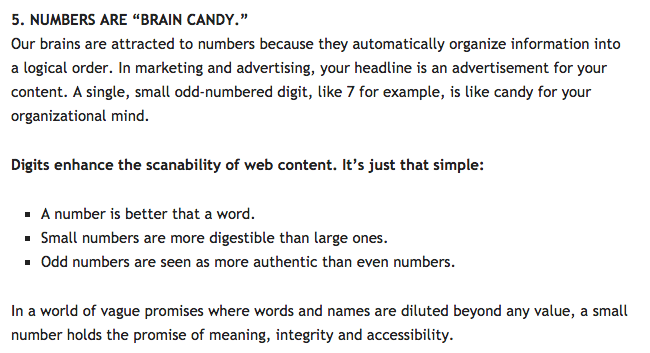 Once you have all these possible headlines, you can choose your favorite 2-5 and test these with your audience. You think this is only this crazy company Upworthy doing stupid stuff? David Ogilvy, the father of advertising, once created 37 headlines for just one ad. So maybe you should try that 25 headlines process? 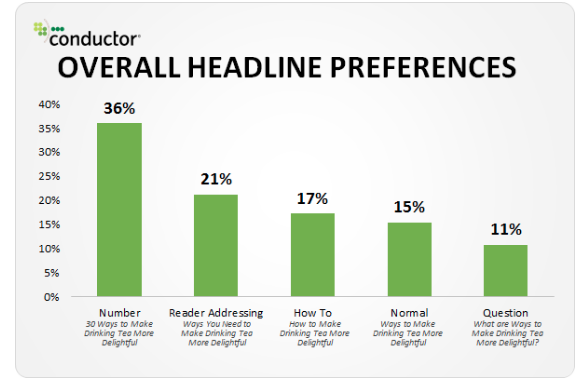 And if you now got a headline that you firmly believe will outrun all headlines you ever created before: Check the headline with a headline analyzer like this one.